Where do the kickstarter funded products go? Anyone familiar with the world of crowdfunding knows what Kickstarter and IndieGoGo are: two of the first and most popular crowdfunding platforms in the world. Both platforms have great numbers. Using Kickstarter, for exampl, 97,217 projects have been launched with a success rate of 42% (40,844), gathering in between all them a total of $501 million (there are 30 projects that have been able to raise over $1M each one). In the IndieGogo case, is well known, for example, the campaign which objetctive was the creation of a Goddamn Tesla museum, that was able to gather in a total of $1,370,461. Amid all these crowdfunding campaigns, different products can be found: video games, curious products that can be very useful (such as ScanBox), curious and “peculiar” products (that is the case of BugASalt) and just “peculiar” or “friki” products (like the Combat Kitchenware, which crowdfunding campaign received 660% of the amount requested). 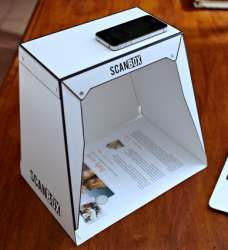 With this product and with your iPhone, you can enjoy a portable scanner that fits perfectly in your personal computer suitcase (ScanBox). 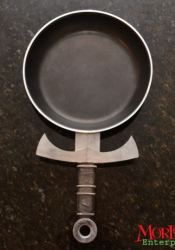 How to merge your Conan the Barbarian geek side with your love of cooking? With a pan-sword, of course (Combat Kitchenware). 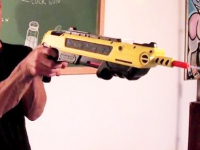 This is for killing flys and other bugs shooting small amounts of salt... no joke, is for killing flys (Bug-A-Salt). The question that arises is, once the project is funded and goes through, where can you buy all these products? Many people lose track of products they have funded by crowdfunding, products that once have entered in its production phase are difficult to find. It’s obvious that those who receive the funds will look for ways to continue promoting and selling the product created, but the Internet is sometimes too large. Rated by Time Magazine as one of the 50 best websites of 2013, Outgrow.me has a very clear and well explained on their website function: work as a premier supplier of products financed by the crowdfunding platform Kickstarter and IndieGoGo. If a product is not on the site, it has not been funded yet or the campaign for funding it has failed. For each product, the online store displays the description shown in the original crowdfunding platform (video included), plus a link to the page that was on that platform (allowing us to see the types of rewards that were offered and other intereseting stuff). Finally, as a good online store, the website has a “shopping cart” that allows you to select the products you want to buy and make a centralized purchase of products funded using crowdfunding. I invite you to visit Outgrow.me and, at least, to take a look at the various products that can be bought. Next Post:May I publish my crowdfunding campaign in different platforms?